I could not see the river from the yard of my childhood home, high on the bluffs of Dubuque, Iowa. Yet the Mississippi was a felt presence there, always that force by which I oriented myself in the world. Even at play, I paused for the low sad call of a barge whistle. In the Dubuque of my youth, there were the flats and the bluffs, dividing rich from poor; there was the north end and the south end, dividing Germans from Irish. But relation to the river defined them all. All of my early life was lived along the Mississippi. We left Dubuque for Davenport and Hastings, MN, but both were Mississippi towns. For the four years we lived in Ohio, in a town along the Little Miami River, I yearned for THE river. Despite the fact that the Little Miami is a National Scenic Waterway, I couldn’t appreciate it. The Mississippi River was the water in my blood. A couple of years ago, on a bike ride with friends in the Twin Cities, we stopped and gazed at the Mississippi, from a point high above it. My friend, V, born and raised in St. Louis, released a satisfied sigh and said, “My river!” I laughed, having just had the same experience – an internal relaxation like that of coming home, accompanied by a proprietary love. Neither of us owns the river, but we both love it fiercely. Today, in North Dakota, there are people fighting to protect the Missouri River from the Dakota Access Pipeline. People for whom that river speaks of life and home. People whose histories are inextricably bound to the land through which the Missouri wends its slow passage. My heart is with them, because their fight is my fight too – the same “black snake” is intended to pass through our rich Iowa farmland, and then underneath my river, too. Their fight is my fight, and is bigger even than us: because water is life for ALL. I can’t believe in the safety of this pipeline despite the many assurances we’ve been given by the private company building it and by our elected officials who support it. I can’t believe in it because the history of pipelines gives the lie to their assurances. Pipelines virtually always leak at some point. It doesn’t take long to learn this – check out this list of pipeline accidents in the US since 2000, if you doubt that this pipeline poses a danger to the waters of our rivers, our groundwater, our soil. Look at the pictures of the aftermath of these leaks and explosions – I did, and they broke my heart. There are many issues and opinions associated with this pipeline. I don’t claim to have all of the information, much less all of the answers, though I am educating myself. What I do claim is my love for one special river and the ways that river feeds, slakes the thirst of, and enhances the earth and its people. And because of that love, I hear in the depths of my heart the voices raised in care for other special places: other rivers, waterways, beloved and/or sacred lands that are endangered by human action. What I do claim is my belief that water is the sacred right of all creatures on this earth – not to be squandered uselessly, endangered through greed, or owned by corporations. This blog is as faithful a record of my inner life as I am able to share publicly. I don’t write about issues because they are in the news, or because I think I have either the right or the authority to tell anyone else what to think, feel or do. I write about issues that I am currently grappling with myself, that are affecting my emotional and/or spiritual life. In that sense of giving voice to my inner life, I feel called to make this declaration: I stand with Standing Rock. I stand with them because my heart and my head and my love for this earth and the Mississippi won’t let me remain seated. 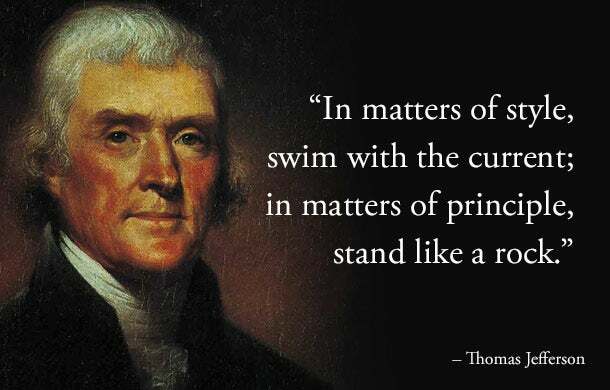 As the old adage goes, we must stand for something, or we’ll fall for anything. I’m not falling for the oil snake, despite its well-heeled salesmen.